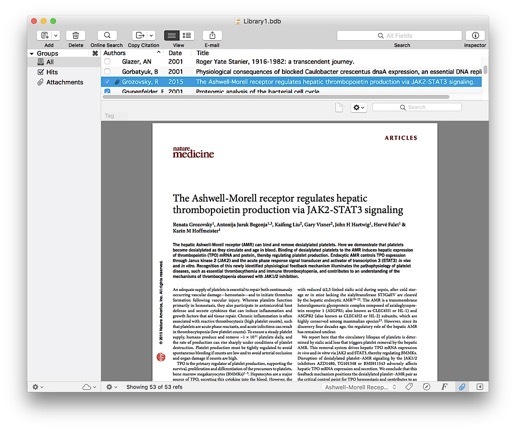 Attach files to a reference and access them immediately. 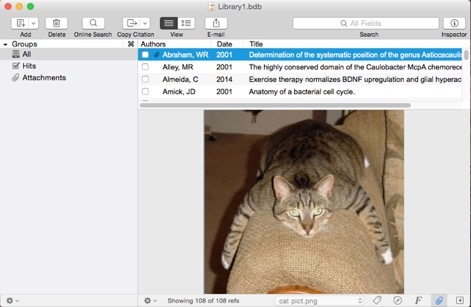 Have Bookends rename and organize your pdfs in a central location. 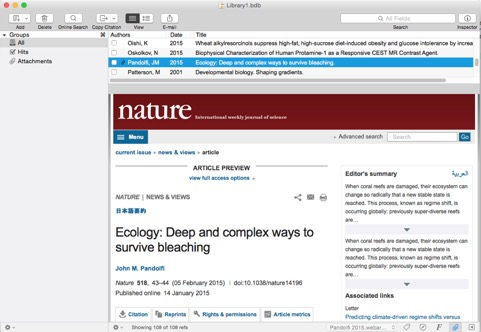 Search attached pdfs from within Bookends using Spotlight. Have Bookends locate existing pdfs on your hard drive and attach them to the corresponding references. Smart folders let you easily attach groups of related files and notes. Click on a reference and read its attached pdfs or the text of documents created by many word processors (Microsoft Word, Mellel, Nisus Writer) or saved as RTF or HTML. Attached web page links are live, and you can navigate from it as if you were in a browser.